Thrice have released the dates for their upcoming farewell tour. An announcement from the band and the tour dates can be seen below. By now you’ve probably heard that we announced the dates for our “Farewell Tour” this May/June with Animals As Leaders (and another very special guest). If you missed those dates, you can find them here. If you’d like to buy tickets, you can do that here. Ticket pre-sales began yesterday and tickets will be made available to the general public on Thursday March 1. We’d be honored and thankful if you’d join us for one (or more) of the shows on this last tour for the foreseeable future. Please don’t delay, because these tickets will go quickly. It’s never been easy for us to decide what to play on tour. And now, with eight LPs and a handful of B-sides and covers under our collective belts, and given the circumstances of this tour, it’s as daunting a task as it’s ever been. So we’re asking you to help us out. Pick as many songs as you’d like, and we’ll use the info we gather from the poll to put together the best setlists we possibly can. Keep in mind that we’ll be recording several of these shows for a live album that we hope to put out later this year, so choose wisely. We’re really looking forward to this tour and want to thank you all for your support, whether you’ve been onboard since “˜98 or just heard us for the first time yesterday. We couldn’t have done this without you guys. 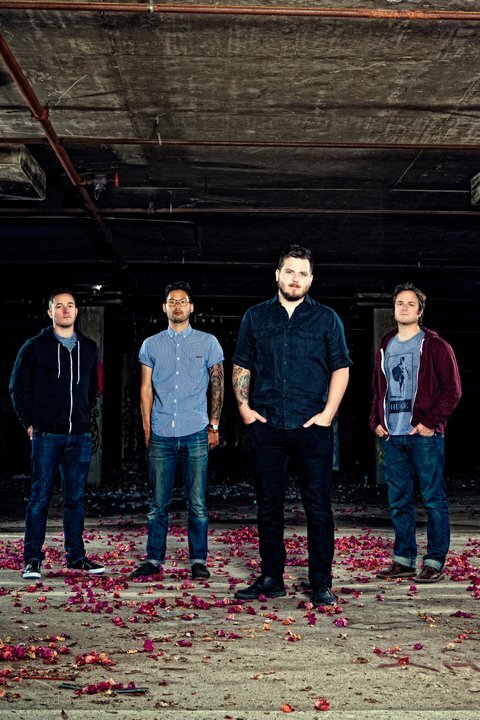 Thrice are streaming their new video for “Promises” which can be seen below. The song comes from the band’s latest album, [itunes link=”http://itunes.apple.com/us/album/blur/id456893462?uo=4″ title=”Thrice-Major/Minor” text=”Major/Minor”], which is in stores now. Thrice are currently finishing up their fall headlining tour with dates on the west cost. Thrice will release their new album, Major/Minor on September 20th. The band is currently streaming a new track from the album each day on their website. Major/Minor is available for pre-order now. Checkout the track schedule and message from the band below. Thrice will also be out on tour this fall in support of their new album. Thrice are streaming a lyric video for their new song “Promises” which you can check out below. The song is off their upcoming album, Major/Minor, due out September 20th. The Bamboozle 2011 has added more artists and announced the festival schedule. The annual three-day music extravaganza scheduled for April 29, 30 and May 1 at the New Meadowlands Stadium in East Rutherford, New Jersey, has announced additional main stage performers. Adding to an already exciting and diverse roster of today’s hottest artists, newly added main stage performers will include: Alkaline Trio, Sam Adams, Thrice, and Further Seems Forever featuring original members including Chris Carrabba (Dashboard Confessional). After recently canceling their tour with Manchester Orchestra due to family health issues, Thrice are back with new tour dates and support from The Dig, Kevin Devine, and Bad Veins. Tour dates can be seen below. Thrice also have a new contest with Crave Online, Macbeth Shoes, and Nash Guitars. Lots of cool things to win: MP3s, guitars, shoes, photo passes, vinyl, etc”¦ More details can be found here. Thrice has cancelled their remaining tour dates with Manchester Orchestra due to a family emergency. Due to a family emergency, Dustin had to fly home this morning, and as a result, we will not be playing tonight’s show in St. Louis. The remaining dates on our co-headline tour with Manchester Orchestra (& O’Brother) have been cancelled. Ticket refunds will be made available at point of purchase. We are very very sorry to have to do this, but please trust that we would not be taking this sort of action unless dire circumstances were involved. Thrice will hit the road this summer for a long-awaited headlining tour of the US and Canada. Kicking off in San Francisco on June 3, the tour hits many cities the band is missing on their spring co-headlining tour with Manchester Orchestra. Kevin Devine, Bad Veins, and The Dig will provide support on various dates this summer, and more dates will be announced in the weeks to come. A limited number of tickets have been held for Thrice fans and will be available through a special Dukat King presale that begins Monday, April 12, at 1 PM local time here.